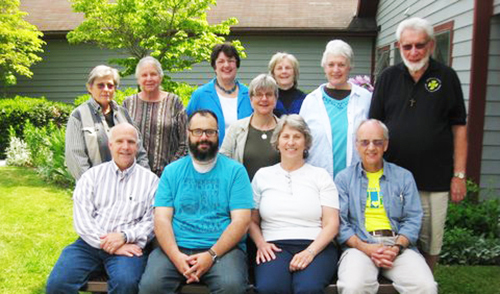 and Debbie Eisenbise (center) with spiritual directors at a retreat in June 2016. Certainly, this is a word from God to a people in a land not of their own making. That is the definition of exile. Yet, this word has a profound message beyond how long the people could expect to be held captive by Babylon. The people of God, says the prophet, are to “seek the welfare of the city” (Jeremiah 29:7). For in the peace of the city, the exiles will find their own welfare. These words are not a weak reminder to live at peace with those around them. Rather, it is a posture with deep theological connotations. This welfare, this peace is nothing short of shalom, the peace of God that offers wellness and wholeness to all God’s people. The captives are to work for this kind of peace for their captors. They are not, as some false prophets suggested, to incite a revolt to overthrow the imperial rulers. Rather, the welfare of God’s people is bound up together with the peace of those who are also their judgment. Today, many feel like our land is not our own. Some have even gone so far as to invoke the image of exile for the church. If we are indeed exiles, how then should we live? Should we pray for revolt, bloodless or otherwise, or should we seek the welfare of our neighbors, living by the peace of God in the midst of a foreign culture? Brethren have long been misfits in Christendom. Much of our early growth can be traced to the peculiar way of life that sought the wellbeing of those around them. At the same time, the early Brethren refused to take part in revolution, either in the peaceful transition of power or by the sword itself. Instead, they continued to live within the blessing of God’s peace, praying for friend and foe alike. Ministries and programs of the Church of the Brethren continue to shape us as disciples, sending us into the world as we seek the welfare of all. 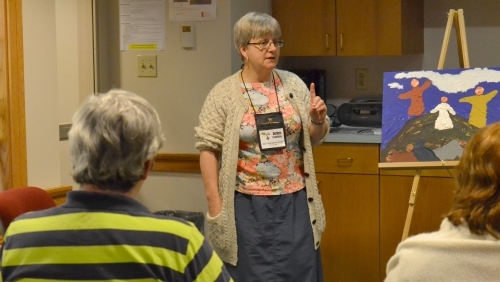 Congregational Life Ministries coordinates a network of spiritual directors who have the gifts and skills to help us look for where God is at work around us. The Office of Ministry supports pastors, district executives, and others through the ordination process, and asks that candidates for ordination work with a coach or spiritual director so that their own eyes are fixed on the presence of God in their ministries. The Office of Public Witness continues to provide avenues for our prayerful presence within an ever-changing culture. All of these and more reveal the sacrificial love of God and the peace of Christ, which are for all people. As we envision the Church of the Brethren in the coming years, may we seek the welfare of the city. May we continue the long history of caring for the sick and marginalized. May we continue to find ways to teach our youth the blessing of God’s peace. And may we find ways to strengthen our congregations as places known for their local ministries of reconciliation. Your prayers and financial support help keep this witness alive. Thank you for continuing to seek the welfare of the city, and for supporting the ministries of your local and denominational church. For our greatest witness to the world comes in our patient efforts to embody God’s shalom for all those around us. Learn more about the work of Congregational Life Ministries at www.brethren.org/clm. Support these and all of the ministries of the Church of the Brethren today at www.brethren.org/give .